Manchester United boss Jose Mourinho insists that he is not facing the sack and sarcastically suggests that it would cost the club too much money anyway. The Red Devils have endured a miserable start to the new Premier League campaign, losing two of their opening four matches and conceding seven goals in the process. 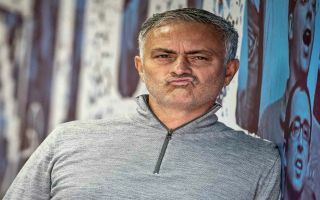 Brighton and Tottenham have managed to get the best of Mourinho’s men in recent weeks, with many experts and supporters suggesting that Mourinho is now on borrowed time in the hot seat at the club. Sunday’s 2-0 victory against Burnley at Turf Moor has at least temporarily silenced the critics and United did manage to produce a much-improved performance which built on their attack-minded first-half display against Spurs a week earlier. However, with the club already six points behind the frontrunners at the top of the table and a number of key players still playing well below their usual high level, Mourinho is not out of the woods yet, with high flying Watford next up for his side at Vicarage Road after the international break. Despite an inauspicious start to the season, according to The Telegraph, the Portuguese coach has been unfazed by recent criticism and insists that he is in no immediate ‘danger’ of losing his job at Old Trafford, whilst also jokingly suggesting that the club couldn’t afford to sack him. As The Telegraph reports, he told two Italian publications after the win against Burnley: “They say I’m in danger but I don’t think it. The Telegraph also states that Man United would have to fork out a huge compensation fee if they did decide to get rid of the 55-year-old boss, who currently earns around £15 million a year in his position at the club. There is still plenty of time for Mourinho to win over his doubters with the season barely a month old and major fixtures against their closest rivals still yet to be played, so it appears unlikely that he will be leaving the Premier League again at such an early stage of the year.